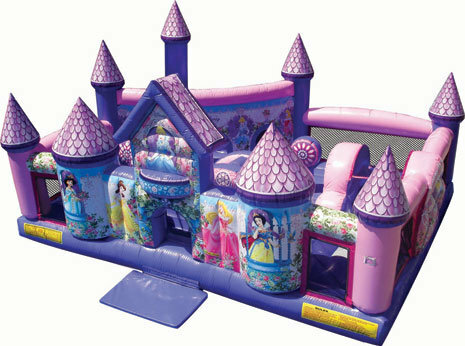 The impressive Princess Palace inflatable toddler playground is a Disney Princess attraction that will have everyone in awe. Little princes and princesses are greeted by Jasmine, Belle, Cinderella, Sleeping Beauty and Snow White. Kids can choose from several different activities, including a climb and slide, obstacles and pop-ups, or they can play a counting game with gemstones or naming the princesses.